Today we welcome one of the founding members of #WeNeedDiverseBooks to the blog. Author Stacey Lee shares some great tips for writing delicious dialogue...though I have to disagree with her on one thing: I LOVE plotting! Thank you, Stacey, for making us all hungry for some Ben & Jerry's! Of all the elements that make up a book, every writer has one that, like a favorite toy, is just more fun to play with. One of my critique partners loves writing internal monologue, while another goes bananas over world building. Everyone has her thing. (Except for plotting. No one really likes plotting.) My thing is dialogue. Dialogue is to story what peanut butter is to Ben & Jerry’s Chubby Hubby ice cream – the magic ingredient that makes the whole tub disappear in one sitting. Those little bits of peanutty goodness keep you wanting just one more taste, one more delicious chapter. Dialogue breaks up the monotony of what would otherwise be a pint of boring vanilla. These simple lines tell us a lot about Westley. He’s romantic, heroic, and he has a sense of humor. The plot also progresses. We know that Westley will come for Buttercup, and anticipate that reunion. Now that I’ve impressed you with the importance of dialogue, here are my five hot tips for working with it. 1. Give information via dialogue. Because dialogue is such a multi-tasker, better to give information via dialogue than through narration. If you find you have paragraph upon paragraph of text, try transforming it into dialogue. You get bonus points if you break up dialogue with action or internal monologue. 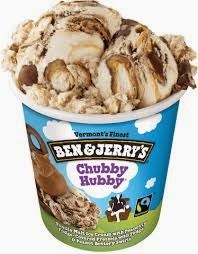 Back to that container of Chubby Hubby, no one wants to eat a full tub of only peanut butter. Unless of course you’re on a bad date and need an excuse not to talk. Not that this has ever happened. Here’s an example of transforming narration to dialogue using the characters from my novel UNDER A PAINTED SKY, which is narrated by the main character, Samantha. We study a handsome firearm with a sharp nose, lying on the chair. The grocer Mr. Trask kept one just like it in a cigar box by his register. I never even held one before, but maybe Annamae has. I just hope I won’t shoot myself in the foot. I point to the firearm. “That’s a Colt Dragoon.” Mr. Trask the grocer kept one just like it in a cigar box by his register. Better, right? The story becomes more active with the dialogue, we get a sense of Samantha and Annamae’s personalities, and we are more likely to remember this information than if it came in the middle of a text heavy paragraph. 2. Cut dialogue tags where possible. Let the action and context show you who is speaking. Dialogue tags can overwhelm a scene, and disrupt the flow of the narrative. In the above example, no dialogue tags are used. The reader knows who is speaking because of where dialogue is placed, or even because of particular speech patterns. Back in the old days, the books we read used dialogue tags, and so that’s how we thought it was done. Thankfully, styles have changed for the better. 3. Give every character his or her own unique way of speaking. This could be through dialect, word choice, speech length, slang, etc. A common beginner’s writing mistake is when everyone comes out sounding exactly alike. The pattern of speech should reflect the character’s personalities. Are they confident or shy? What is their sense of humor – dry, cheesy? Are they optimists, or pessimists? Idealists? A good writer will be able to convey who is speaking simply by how they speak. Let’s do a mini exercise. Say a character needs to use the bathroom. How would the following characters express this need? I will do the first two, and you do the last. 5. Sound natural. The goal is to approximate speech you hear in real life. You don’t have to use full and complete sentences, and sometimes your dialogue may not even be grammatically correct (e.g., see Yoda example in #3). But the more realistic your dialogue sounds, the less you risk your readers being pulled out of the story. If you struggling with dialogue, write for content first, then edit so that it sounds natural. 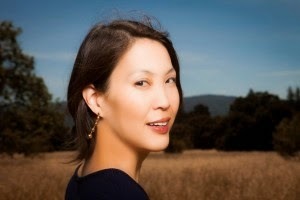 Debut author Stacey Lee is a fourth generation Chinese-American whose people came to California during the heydays of the cowboys. She believes she still has a bit of cowboy dust in her soul. A native of southern California, she graduated from UCLA then got her law degree at UC Davis King Hall. She plays classical piano, raises children, and writes YA fiction. As a founding member of the grassroots #WeNeedDiverseBooks movement, Stacey is a highly vocal participant in a discussion that is making waves within the publishing industry. As their legal liaison, she has participated in and/or moderated diversity panels across the country. An unforgettable story of friendship and sacrifice--perfect for fans of Code Name Verity. I also love writing dialogue. Thanks for this post. Under a Painted Sky is very high up on my TBR list. I hope I can get it soon! 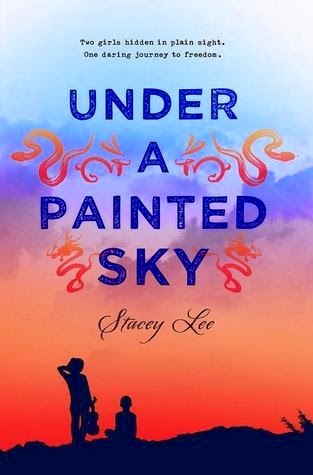 Soooooooooo excited for UNDER A PAINTED SKY, Stacey. Love this snappy post, and not just for the Star Wars references. 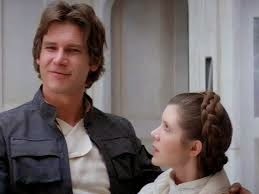 Han: Kid, I've flown from one side of this galaxy to the other, and I've seen a lot of strange stuff, but I've never seen anything like the plumbing in Cloud City. Vader: I've felt a great disturbance in the force. Great post and challenge. Look forward to reading it Stacey's book.